A spicy twist on our classic Pickled Onions, the Pickled Onions with Chilli are perfect for anyone who likes it hot! 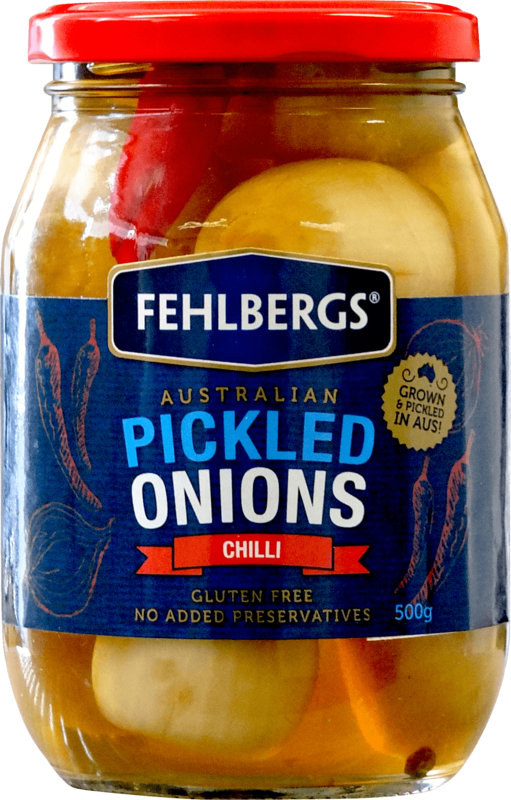 We use premium Australian onions and fresh chillies to create a taste to remember. Serve them with crackers and cheese for a tasty snack. Onions (55%), vinegar, water, sugar, salt, chilli, spices, colour (150c).